Since Visalia is now more of a buyer's market because of the many foreclosures, also known as REOs and bank-owned properties, buyers have opportunities that have not been available to them for several years. Low prices, low interest rates, and lots of properties to choose from - it's a buyer's dream. When looking to purchase a property that will meet your short-term and long-term goals while staying within your budget, it is important to determine if purchasing a foreclosure is right for you. 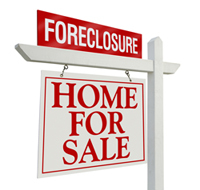 Some buyers I have worked with asked to look at foreclosures because they wanted "the best deal." After taking the time to learn their needs, goals, and financial situation, I would then help them look for the best deal that would also be the "best fit." Sometimes the better deal was a foreclosure, and sometimes it was a well-cared for, non-foreclosure residence. conditions required by the loan or the appraiser. done to conform the property to meet the requirements. 4. Avoid buying the money pit. 5. When average is no longer average. fixer-uppers as well. It is better to know your limitations before you buy. 7. Let's Make A Deal! away, so keep that in mind when making offers. therefore getting multiple above-price offers. partake in win-win situations for themselves, the bank, and the renter. If you are interested in learning more about purchasing a bank-owned property, or you are ready to start looking at foreclosure homes, please contact me. In addition to our traditional listings, RE/MAX Visalia has a large market share of the foreclosure properties in Visalia. We know what makes for a successful purchase of a foreclosure, whether it is one of our listings or one of another agency's.